When your cat snubs the litter box, it’s usually not out of revenge. But he or she may be trying to tell you something’s wrong — with damp, fragrant messages on your bedspread, in the potted plant or even in your running shoes. Here’s how to interpret what your cat is trying to say. 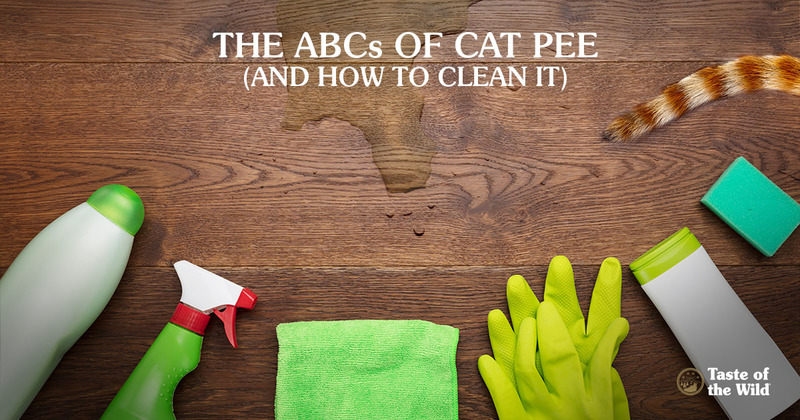 We’ve even included a few tips for cleaning cat urine. Urinating outside the litter box signals a number of medical conditions, including feline lower urinary tract disease, urinary tract crystals or stones, or an infection or even partial blockage of the urethra, the tube that carries urine from the bladder to the outside. Urinary accidents can also happen because of conditions that make your cat pee more frequently or with greater urgency, such as kidney disease, diabetes and hyperthyroidism (too much thyroid hormone). Older cats with painful arthritis may avoid the litter box if the sides are too high to climb over or if they have to ascend or descend flights of stairs to get there. Your veterinarian may try to determine if your cat is marking or just urinating. Cats may “spray” in the house to communicate to other cats in the household or neighborhood cats that may stroll through your yard. It’s a way of marking their territory. Urine marking differs from urination in a number of ways. Typically, cats mark on vertical surfaces, often backing up to the stereo or doorway with their tail up and quivering. The volume of liquid is usually smaller than what you’d typically find in the litter box. And the urine often contains additional substances than lend a muskier scent to the spray. Although any cat may mark, including female, neutered or spayed cats, it generally happens more in intact (unneutered) male cats. If your cat is marking, you’ll need to remove the scent and work with your veterinarian to help eliminate this behavior. Abide by the 1 + 1 rule. You should have one litter box for every cat in the household plus one more. So if you have three cats, you should have at least four litter boxes. Size matters. The litter box should be at least 1.5 times the length of your cat (excluding the tail). If you have an older cat, consider a box with lower sides. Many cats will avoid covered boxes. Keep it clean. Scoop the litter at least once a day or even more often if you have multiple cats. Discard the litter about once a week and wash the litter box with a mild dishwashing soap. Try different litters. Some cats are finicky about their litter and may prefer a different texture or perhaps unscented litter. Location, location, location. Cats like privacy, too. So avoid placing the litter box in high-traffic areas. Is It a Behavior Problem? Sometimes, cats turn their tails up at the litter box because they’re stressed out. Any changes in the household, such as the addition of a new baby, construction workers in the house or bullying by another cat in the family, can upset the cat’s routine and lead to accidents. If this is the case, work with your veterinarian to devise a plan to help minimize your cat’s stress — and hopefully, his or her extracurricular urinating activities.